You don’t need a flashy car, but it certainly doesn’t hurt. It may not be a sports car, but even a family car can be fun and exciting to drive. Plenty of SUVs are efficient while still being fun and exciting to cruise around in. No SUV more encapsulates this idea than the 2019 Ford Escape. It’s jam-packed with different entertainment and driver assist technologies that put it head and shoulders above the competition. We’ll go ahead and take a look through its basic features to give you an idea of what the Escape is capable of and what you’re getting. 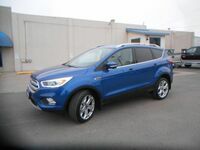 It’s only a small sample of what’s available here, but know there is a lot more to your new 2019 Ford Escape. 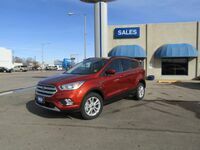 If you’re interested in the 2019 Ford Escape then come on down to our dealership and talk with one our salespeople about getting set up. You can also call ahead with any questions and we’d be more than happy to help however we can.